Do you have a Ford Thunderbird question? 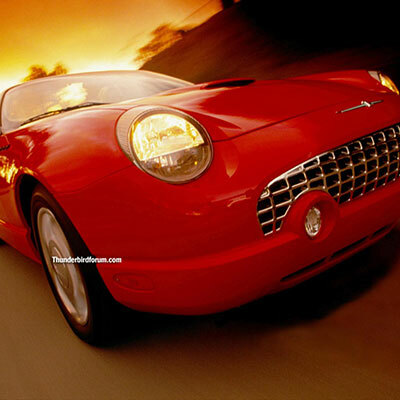 Click here to register free to post your 2002 2003 or 2004 2005 Ford Thunderbird question. This is the best place to get your questions answered by actual Ford Thunderbird owners and Thunderbird enthusiasts! If you’ve never used a discussion forum online, try it today, you will love it! Our forums are divided into three categories according to the year of the car. Click Here for details. The purpose of this site is for criticism, comment, news reporting, teaching and research collected from existing owners. Thanks for visiting the Ford Thunderbird Forum! This Web site and its content are not affiliated with the Ford Motor Company. The products and opinions expressed on this website and sites linked to it are not necessarily those of the Ford Motor Company.